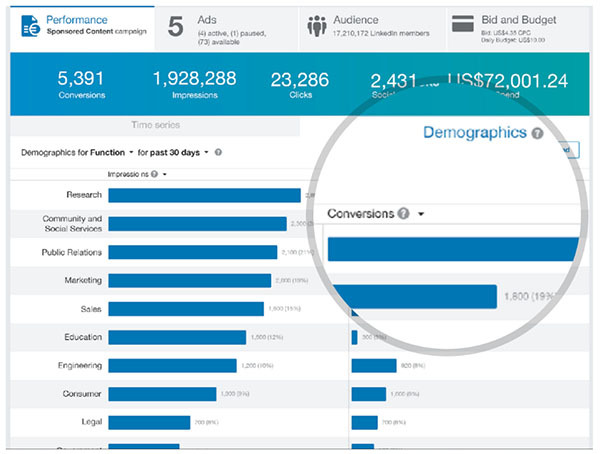 Earlier this summer, we launched conversion tracking, a native analytics tool built right into Campaign Manager that enables advertisers to measure exactly how many leads, purchases, and sign-ups they’re getting from their LinkedIn ads -- right down to the specific creatives and even the target audiences that are driving those conversions. 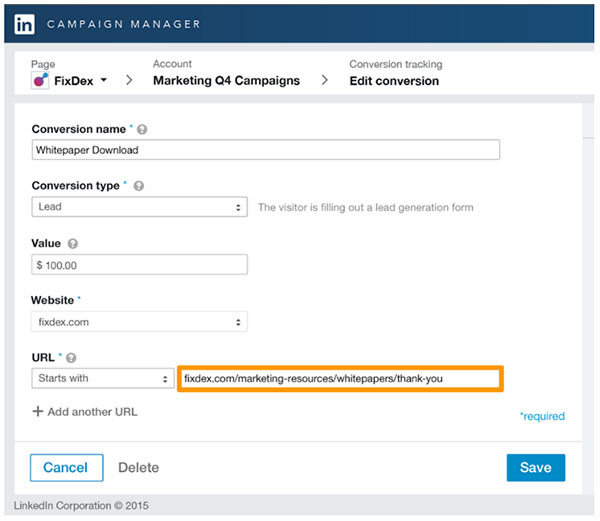 With thousands of LinkedIn advertisers already using this new conversion tracking capability, we wanted to give you some quick, actionable tips for how to get the most of out of it -- whether you’re already using conversion tracking for your LinkedIn ads, or you’re thinking about adding it to your next LinkedIn Sponsored Content or Text Ads campaign. A best practice is to add the Insight Tag to your site’s global footer by placing the code just before the <body> tag in your site’s HTML. Your web developer is usually the right person to help you with this process. 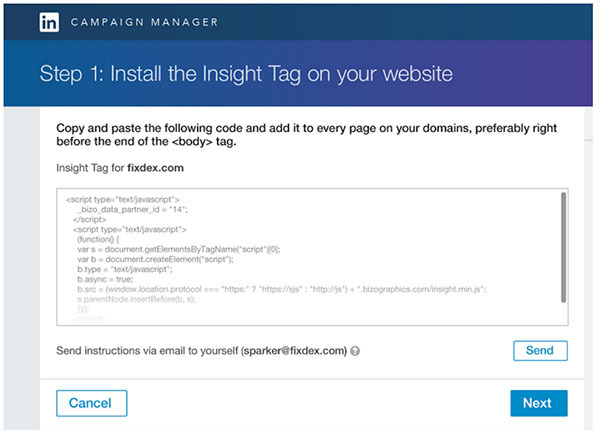 Adding the Insight Tag to your global footer effectively tags every single page in your domain, allowing you to use all those pages whenever you want for any conversion tracking campaign you’ll ever run on that site. Adding the tag to your global footer also means that you’ll only need to place the tag on your site once — and never again! When you create a conversion action, you’re asked to enter a URL. This is the page on your website where you want to count a visit as a conversion. For most advertisers, the best URL to use is a “Thank You” page -- the page a visitor would arrive at after, say, filling out a form to download your ebook, request a demo, or make a purchase. If you have a standalone “Thank You” page that follows your form fill or purchase flow, identify this page as your conversion URL in the setup process to accurately record all conversions. An important point: Whichever URL you choose as your conversion point, make sure it’s a page that a LinkedIn member would likely flow through after clicking on one of your ads, arriving at your site, and completing your form or purchase process. Test this flow yourself, end to end, to make sure you're using the right “Thank You” page. LinkedIn conversion tracking is different than conversion tracking on other ads platforms, because with LinkedIn you can measure exactly how many leads you’re getting from specific professional audience segments — the seniority, industry, job function, company size, and location of the people you’re targeting and converting into leads or customers. Use demographic conversion data to determine which target audiences are generating particularly strong conversion results, or which audiences are underperforming. Consider channeling more budget toward audiences that are generating many conversions, or a healthy ratio of conversions to clicks. Or, consider making a duplicate campaign that targets one of these higher-performing segments and A/B test it along with your original campaign. Ultimately, you can go with the campaign and audience that perform the best. If you notice that certain Sponsored Content ads or campaigns are driving fewer conversions than others, this might be a good time to ensure your landing pages are mobile-optimized. In addition to measuring conversions at the audience level, you can also measure conversions by creative. 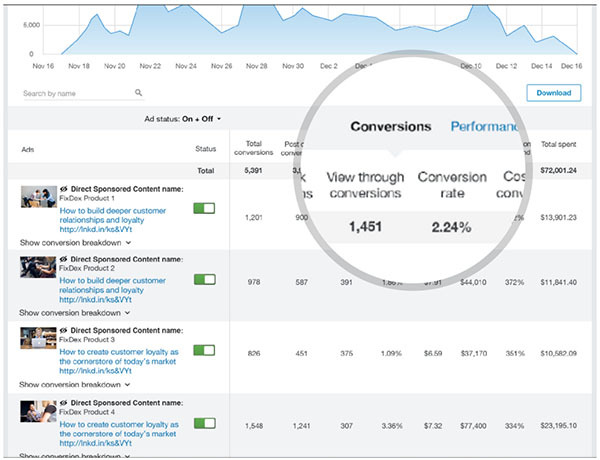 When looking at your campaign-level metrics in Campaign Manager, simply click the “Conversions” tab to see which ads are generating the best cost per conversion or conversion rate. First, after a week or two, consider pausing creatives that are underperforming. 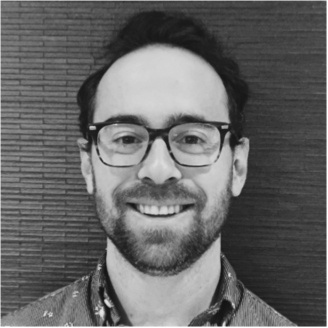 This tactic will naturally redirect more of your total campaign budget toward the remaining ads that are generating better conversion outcomes. Try making new ads that mirror the messaging or creative format of the high-performing ones. 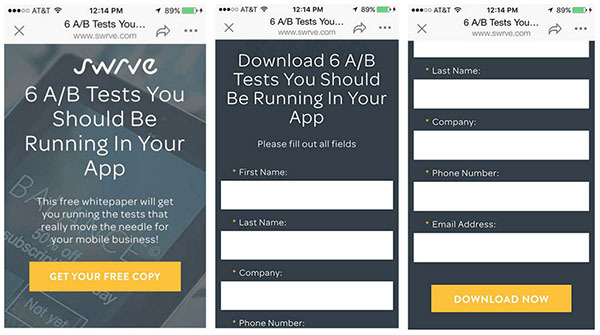 These approaches will help keep your campaign full of ads that are conversion allstars. Second, underperforming ads are a good reason to reexamine the “promise” implicit in your Sponsored Content or Text Ads creative: the ebook, demo, webinar or other value proposition you’re offering to your audience that engages with your ads. To begin, make sure the messaging on your landing page aligns with the messaging of your ad, so people who saw or clicked on your ad will sense a certain continuity between your campaign and what you’re promoting on your site. Or, consider whether your value prop makes sense for your target audience to begin with: Is your offer or ad promise relevant to your prospects’ professional interests? Is it exciting? Is it something your audience is ready to trade their information for, based on where they are in their buyer’s journey? Sometimes the substance of your message or the match between message and audience is the leading driver of conversion performance. Want to learn more about LinkedIn conversion tracking? Just visit our website. Or, log into Campaign Manager to give conversion tracking a try today. You can also register for the webinar taking place Wednesday, September 28, at 11am PT, "Introducing Conversion Tracking: Top Tips to Measure Your ROI and Optimize Your LinkedIn Ads."